Most smartphone fans were scratching their heads when Palm announced the Palm Phone which was initially billed as an accessory for your current smartphone, a companion device if you will. The Palm Phone has a 3.3-inch screen and runs Android. Palm has announced that fans of the device can now pick it up as a stand-alone device. 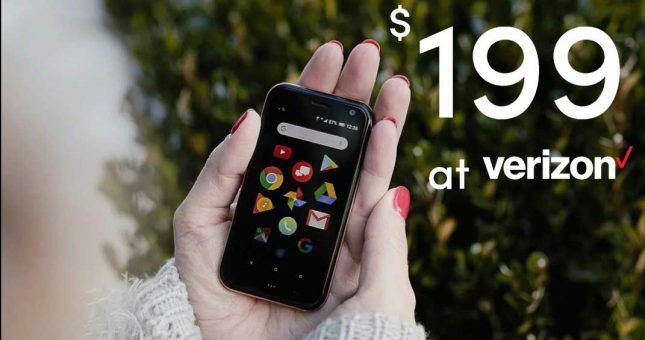 Verizon is offering the Palm Phone for $199, which is a significant discount off the normal $349 price. If you think you might want the device, now is certainly the time to buy. One catch is that this is a different device than the companion device launched before. 9to5 Google reports that users will need to trade in their companion Palm Phone for the new version that can be used as a primary device if they want it to have its own number and data. The companion version of the Plam Phone will still be sold.